Product markings are an integral part of marking consumables for sale. It is for this reason that a large percentage of revenue goes into purchasing various marking machines. However, over the past 30 years, tremendous technological improvement has been noted in the dot peen marking machine. In recent times a wide variety of materials including metal, glass, cardboard, and plastics can be easily marked using the heat sign dot peen marking process. Due to this, an increase in the effectiveness of marking has been noted especially with the use of a portable machine. It is, for this reason, redundant work of rework, scraping and endless testing has been eliminated. As a result, this advancement has allowed manufacturers to cut back and relocate valuable resources previously used in marking to other production sections. What Is A Dot Peen Engraving Machine? The design of the dot peen engraving machine engraves by applying a direct impact on the material using an electromechanical device. The device used is a pen tip or a stylus that creates permanent indents on the product surface. Usually, the stylus is made up of durable materials like diamond, carbide or Tungsten alloy. Whether it’s a traditional dot peen marking machine or an electric dot peen marking machine, a controlled system is used as a guiding program. The program allows the dot peen machine to create various two-dimensional designs on the surface of a material. As it can be programmed to any unique designs, it enables you to create digits, alphabets, data matrix code and logos that can be used to brand a product. It is impossible to write or engrave steel and various metals machines using an ordinary ball pen. However, to ensure the traceability of a product via serial numbers and different branding methods, marking is an integral part of manufacturing. As expected, the markings should remain intact during the whole useful life of the product. 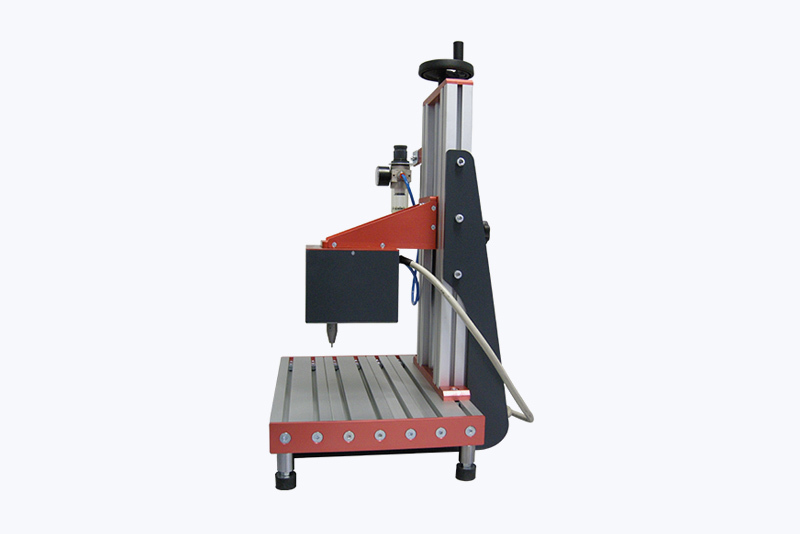 The pneumatic dot peen marking machine enables you to do this as it can make different marking designs including straight lines and curves without damage to the product. The primary benefit of dot peen marking machine is that it eliminates misalignment during the marking process. The result is that it provides exceptionally professional and clean markings. As it allows marking in both metal and non-metal materials, you can mark ceramics, wood, cardboard, plastics, steel, aluminum, copper, carbon steel and brass. For this reason, it can be used in marking electrical equipment’s, electronics, automotive, medical instruments, metal processing, aeronautics and military equipment’s. Unlike the quick and effective means of marking made available with a hand marking machine, traditional dot peen marking machines were cumbersome to use. They did the marking using a stamping method that was inflexible, slow and had numerous errors due to misalignment during the making process. As a result, the production line was held up since the manual marking of products was extremely slow for commercial use. 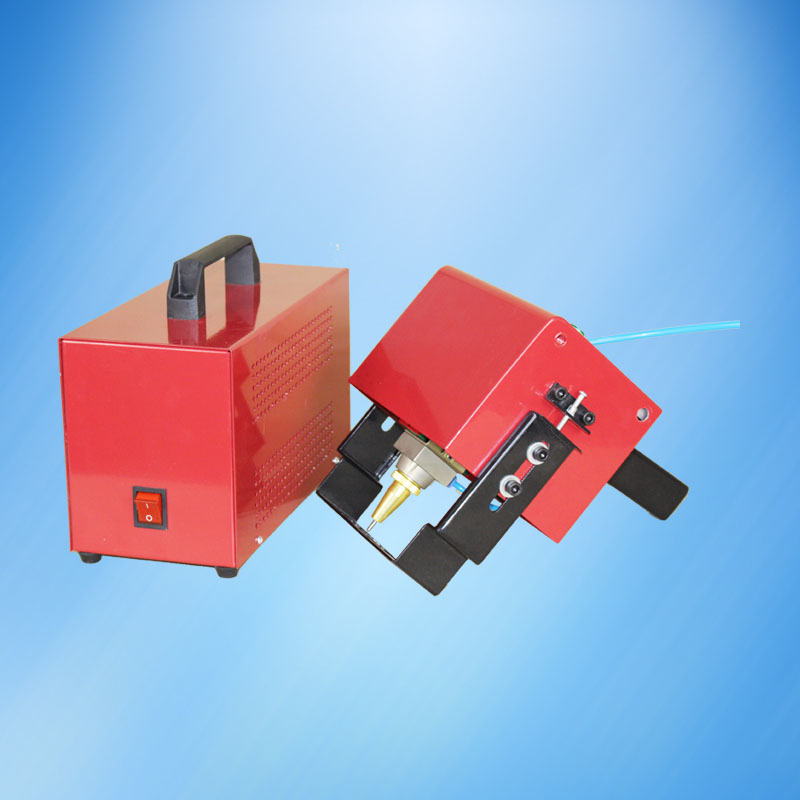 The pneumatic dot peen marking machine uses air pressure as the driving force of the stylus. The punch power provided depends on the size and the type of stylus. An X and Y axis is integrated into the design which allows accurate measurements. 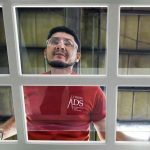 To adjust these measurements, you can set different parameters including the air pressure, clearance, and spacing to determine the size of the inscriptions. The inscriptions made are small dots engravings that are hence joined together to create a symbol, letter, number or graphic outline. As the measurements stay steady unless you manually change the parameters, you can easily mark numerous products and expect a homogenous result as hence get clean, professional marking. To enhance the efficiency of the traditional dot peen marking machine is the inclusion of an electric element. This has brought forth the creation of the electric vibro peen marking machine that has eliminated the use of an air compressor in the marking process. The device uses an automated software device that is integrated with a touch control screen to speed up the process. 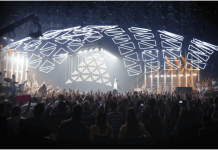 As it eliminates the need to be hooked to a physical computer to work, it can be used to engrave large products as all it needs is a power source. The advantageous aspect with this machine is that it does not exert pressure on the surface to be engraved hence uses less effort and thus less power. Finally, the last machine is a portable marking machine for steel and plastic. As some manufactured products are large and have uniquely obtuse designs, it’s impractical always to mark them on a desktop machine. What’s more, sometimes a manufacturer only needs one machine for multiple industrial sites hence need to invest in a piece of easily transportable equipment. A portable item enables you to do just this as it only requires some source of a power outlet to use hence easily to transport and operate. To further aid this aspect, you can specifically invest in a battery marking dot peen machine for engraving. Overall, the heat sign dot peen marking process is an effective way to engrave and mark products while ensuring they are error free. 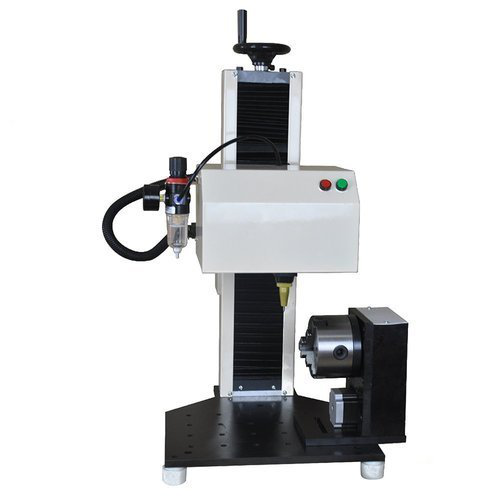 Additionally, as it can be used to stamp on uneven and rough surfaces, the dot peen marking machine is suitable for marking a wide range of materials. 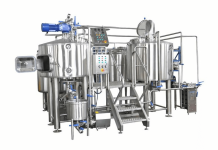 As the system software is easy to understand, integration and operation are easy; hence you increase productivity and eliminate time wastage. 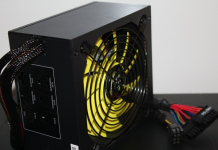 Previous articleLinear Vs Switching Power Supply: What’s The Difference?